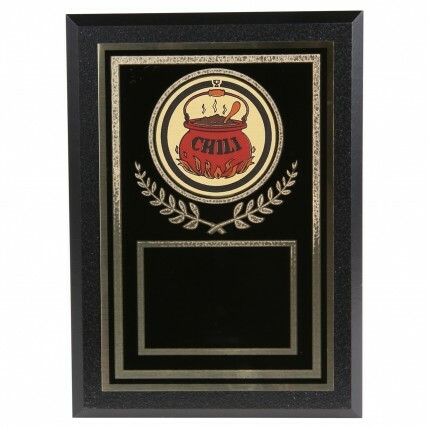 You will be proud to give the Bubbling Pot of Chili Plaque to your chili competition winners! This 7" tall by 5" wide plaque features a black brass plate with a bubbling chili pot above, golden laurel trim in the middle, and a gold border to frame your custom engraving. Includes up to 4 lines of golden engraving in the price!